Complacency kills. Just ask former leaders at once-thriving video store chain Blockbuster. When Netflix launched in 1997, first as a movie-by-mail company and later as an online streaming service, Blockbuster failed to see the warning signs. It was another six years before Blockbuster launched its own movie-by-mail service, but by then, it was too late. On September 23, 2010, Blockbuster filed for Chapter 11 bankruptcy protection, $900 million in debt. Digital transformation is not a fad or a marketing catchphrase: It’s a matter of survival. That’s the verdict of a recent survey of 388 CEOs and senior business leaders conducted by IT research company Gartner. Of those polled, 56% claim that digital improvements have had an impact on their profits. And if that’s not enough to make bosses sit up and take notice, 47% said they are now being challenged to make further progress in digital business by their boards of directors. One in five, meanwhile, are putting "digital first" at the heart of their approach to business change. Savvy leaders are recognizing that becoming irrelevant, as established competitors and emerging startups forge ahead in digital, constitutes a greater risk to survival than taking a punt on new digital apps and services. Here, three of them share their strategies and some of the valuable lessons they’ve learned along the way. 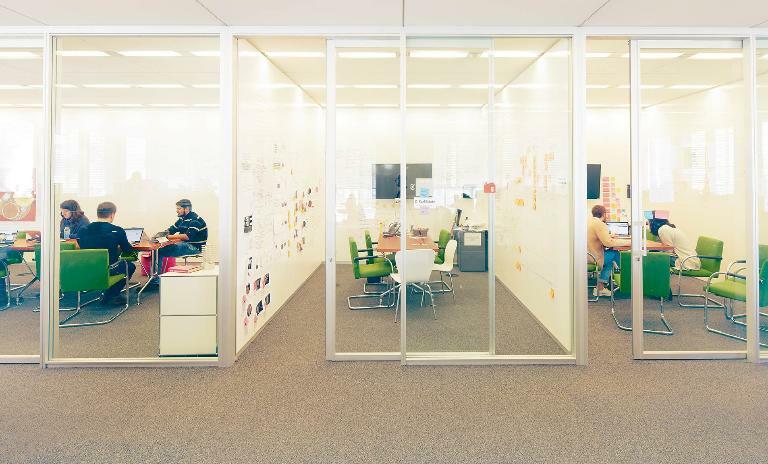 The New York Times, a newspaper that has been published daily in New York City since September 18, 1851, is on a radical digital transformation journey. Unlike many similar media organizations facing the rapid erosion of traditional revenue streams (mostly newsstand sales and print advertising) at the hands of digital, The New York Times’ goal isn’t simply to maximize revenue from online advertising, but to turn digital subscriptions, via its paywall, into its main engine of sales and growth while simultaneously introducing new online services and features that attract new subscribers and keep the existing ones coming back. A NOSE FOR THE NEW: The "beta group" at the renowned paper is pioneering new ground in coverage and applications. So far, that strategy seems to be paying off. During a conference call with financial analysts marking the end of its 2016 fiscal year, The New York Times Company CEO Mark Thompson announced that it added 276,000 net new digital subscriptions in the fourth quarter of the year. "For comparison, that’s more net new subscribers in one quarter than we added in the whole of 2013 and 2014 combined," he said. But continued success along these lines hinges on The New York Times continuing to bring new digital services and features to market. Overseeing much of that work is Kinsey Wilson, executive vice president of product and technology at the company. For him, the secret to success in innovation is having several "pockets" of research and development at work in the organization, each working on different objectives and different timescales. One is the Story X R&D team, which sits in the newsroom and takes a "blue-sky" approach. "Given the speed of change, we feel it’s important to have a group that’s not necessarily charged with driving innovation for the next day or the next week or even six months out, but is tasked with understanding how consumer behavior is likely to change over time, and how technology might change the way we report and tell stories," he says. "So their mission is really to look out on a distant horizon, and to begin some discreet experiments, start asking questions and prototype some things that give us insight into where the market might be going." Equally important, however, is the work contributed by three other digital groups. The first also sits in the newsroom, and includes software developers, interactive graphic artists and data journalists, but works with journalists on day-to-day storytelling. → VIRTUAL REALITY In 2015 and 2016, The New York Times rolled out VR content online and distributed viewers to over a million readers. → DAILY 360 VIDEOS Produced with Samsung, Wilson says they help NYT readers experience both serious new events and more "fun" stories from around the globe. → A DAILY NEWS PODCAST The Daily had about 27 million downloads in its first three months on the market, outstripping expectations. The second and third groups sit within Wilson’s product team. One is called the "beta group" and it works on pioneering new areas of coverage and new applications, such as creating a cooking site that mines around 170,000 recipes already in The New York Times’ archives in order to offer a "recipe of the day" for time-poor New Yorkers who are nonetheless passionate about good food and seasonal ingredients. The "core group," meanwhile, takes responsibility for the building, maintaining and ongoing development of the core New York Times website as well as its mobile applications. "So that’s three different loci, each working to a slightly different pace and different purpose, in addition to Story X," he says. "It’s what enables us to meet the different needs of readers, those that are new, those that are emerging and those that we expect to emerge over time." This work gets a great deal of support and backing from management at The New York Times, he adds. "The focus of the executive team on most days is pinned on digital and I think that’s created the best conditions for the rest of the organization to rally around the vision of what it takes to be a robust, vigorous and engaging news-gathering organization in the digital era." "You’ve absolutely got to keep pace with customer demands and customers are telling us they want digital." In 1976, Travelex founder Lloyd Dorfman started his bureau de change business with one small shop on London’s Southampton Row. 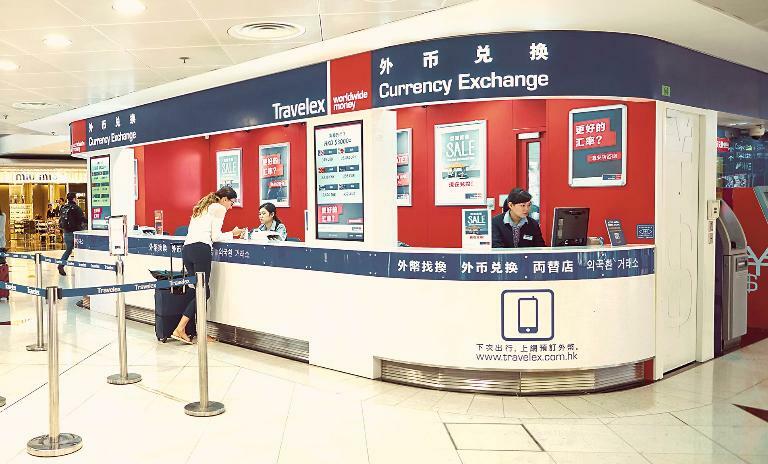 Fast-forward four decades and Travelex not only has 1,500 stores and desks worldwide, but also has a thriving digital element in its retail activities. Many people probably still associate Travelex with those walk-up currency exchange desks. Its continued presence on major streets and in transport hubs shows it’s still a "real world," "brick and mortar" business. However, the digital transformation effort that Travelex started in earnest in 2014 is now bearing fruit: Its online retail business shows double-digit revenue growth across "pretty much" all of the markets in which the company operates. "In the UK, in our peak summer months, it’s around 30% to 40% of turnover," says Chief Executive Anthony Wagerman. PICKING UP THE CUES: Travelex started online services and prepaid cards after observing that today’s customers demand the flexibility of digital offers. Thanks to new online services, travelers now have more options when it comes to getting their hands on the foreign currency they need. They can order it online and it will be delivered directly to them or, alternatively, ready and waiting for pickup at the Travelex desk or store of their choice. Alternatively, they can take the self-service option, withdrawing the money from one of Travelex’s foreign currency ATMs located in around 14 countries. Or they can forget about cash altogether and carry one of the company’s prepaid currency cards instead. These are all entirely new products that the company has launched in recent years. With e-receipts successfully launched across the UK, 290,000 email addresses were added to Travelex’s customer database and about 60,000 customers were added to its marketing network as of the end of 2016. According to Wagerman, his decisions in this area are based on direct observations of changing customer trends. "When it comes to digital, the first really important maxim for us is to go where our customers go, to interact with them in ways that suit them. He continues: "One of the things I often say to people in my business is to think about what you’re like as a customer and what your expectations are." In order to stay competitive, he believes, Travelex needs to be offering the same kind of slick online customer experience that they might expect from Apple or Amazon. On this point of customer expectation, he adds, he’s fascinated by the disconnect he witnesses in other business leaders he meets. "They’ll dismiss digital transformation outright as marketing speak, but at the same time, they’re fiddling with their iPhones even as they’re talking, booking their train tickets and buying books online." In other words, they’re not even picking up signals from their own behavior, let alone that of their customers. A great deal of Wagerman’s focus goes into fostering that customer experience mindset in his workforce, he says, particularly among the IT teams that create new digital channels for customer interactions. "Technology is hugely important – it’s how we become accessible to customers, it makes a huge difference in how we serve them. But it’s important not to become bogged down in the technology itself. What matters is that it helps us give customers a better experience of Travelex." Digital transformation has taken a lot of hard work at Travelex, but it certainly seems to be paying off. "There’s absolutely no point shutting your eyes and pretending the rush to digital isn’t happening," says Wagerman. "You’ve absolutely got to keep pace with customer demands and customers are telling us they want digital." "I don’t want to see anyone bored or frustrated. I want them to be excited about the work they do." At times like these when digital skills are in short supply (and those that are available come at a premium), a smart staffing strategy is essential for any company with digital transformation ambitions, says Malika Mir, chief digital and information officer at Ipsen, a $1.67 billion global pharmaceutical company based in France. After all, when young graduates enter the job market, their hopes are often pinned on finding work with an internet giant like Google, Facebook or a fast-moving startup. That puts the onus on the more established employer to give them great projects to work on and to keep them interested, she says. But in the pharmaceutical industry in which Ipsen operates, digital skills are not always enough. "One of our challenges is that, before we launch a new mobile app or online service, we have to satisfy a host of people in our business: legal, regulatory affairs, medical professionals, ethics and compliance specialists." That’s why in addition to her team of digital "generalists," Mir set out to bring three new digital managers into Ipsen who each had at least five years’ experience working in digital transformation at other pharmaceutical firms. KEEP THE IDEAS COMING: Ipsen engages new recruits with multiple projects, keeping motivation high and fostering excitement for digital innovations. 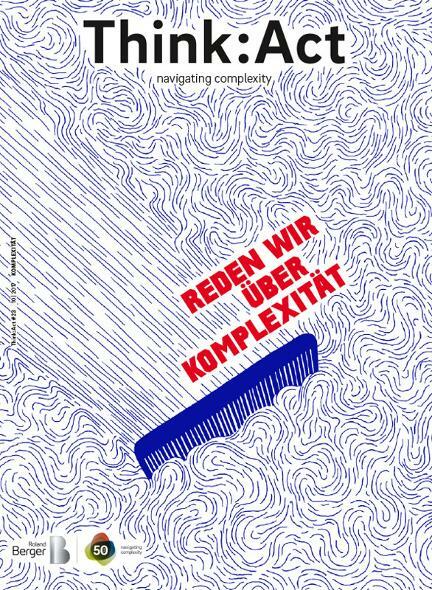 "Digital people with a pharma background tend to have a better idea of how people with diseases cope and what will be useful to them. They also have a much clearer idea of the processes, regulations and constraints around communicating about diseases and products. They understand the market and they understand the patient. It really makes a big difference," she says. And the recruitment of her digital managers, she believes, will enable Ipsen to accelerate its four-year digital transformation road map, which at present covers the years from 2016 to 2020. Early fruits of this strategy include the website "Living with NETs" for patients with neuroendocrine tumors (NETs). 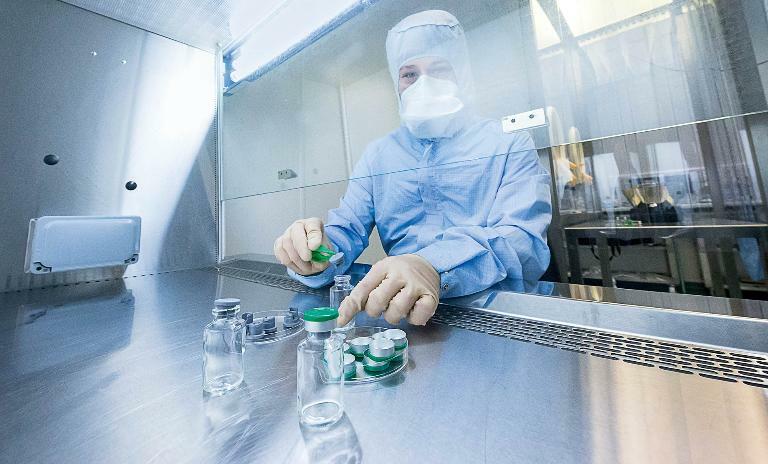 Here, Ipsen addresses an identified gap in the market: There is a dearth of information available to patients because of the rarity of these tumors, but Ipsen specializes in drugs for this market. Another recent digital product is a mobile app launched in late 2016 that offers patients information and guidance on rehabilitation exercises that help to combat upper-limb spasticity. And, in future, it’s likely that Ipsen will be branching out into smart, connected health care devices, more online services for health care providers and perhaps even the sale of data, such as that gathered through clinical trials. "This is where digital disruption will make its presence felt in our market and we need to be part of that movement. Our top management understands that if we’re not part of it, someone else will do it – either an established competitor or a new health care startup." That piles on the pressure not only to attract new recruits with digital skills, but also to keep them engaged and interested in their work with multiple projects to which they contribute. "This has a major impact on their motivation levels, I’ve observed. I don’t want to see anyone bored or frustrated. I want them to be excited about the work they do and excited about what digital can bring to our business."